Veteran and New Teams -- Happy New Year... while there is still snow on the ground, Spring is right around the corner and this is a WORLD CUP year! Season is expected to start in late March and run through mid-June. 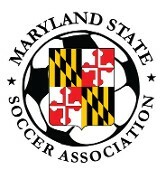 NEW TEAMS interested in the competitive soccer in the WPL for this Spring? Please call me at 703-624-8085 or e-mail me at soccerwpl@gmail.com if you have a squad that wants to play competitive Men’s soccer - the WPL currently has a limited slots for the select few seeking to play the best to be the best. NEW PLAYERS interested in competitive soccer in the WPL this Spring? Please call me at 703-624-8085 or e-mail me at soccerwpl@gmail.com. Any questons, please don't hesitate to contact me directly at soccerwpl@gmail.com or call at 703-624-8085. See you on the pitch and keep it safe, fun and fair!